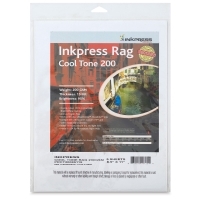 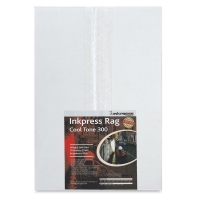 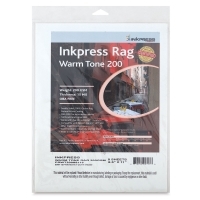 Inkpress Rag is a double-sided, 100% cotton rag paper that is acid-free and archival. 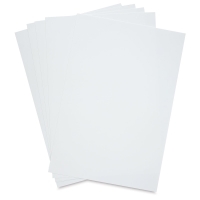 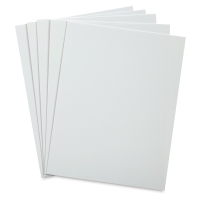 Ideal for professional photographic digital printing of fine art, this paper's especially bright white coating allows for excellent color and black-and-white reproduction. Its light-resistant and water-resistant properties also allow artists to enhance, spot, retouch, or airbrush their work. Available in Cool Tone and Warm Tone varieties, both the papers and coatings are manufactured at Monadnock Paper Mill — the most experienced paper mill in the USA — assuring consistency and quality.